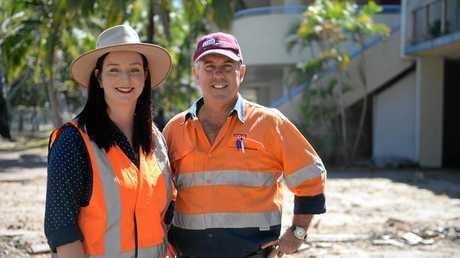 STANDING on the dusty slab of the demolished remains of the Great Keppel Island Resort, Member for Keppel Brittany Lauga was elated to see tangible progress at the controversial site. 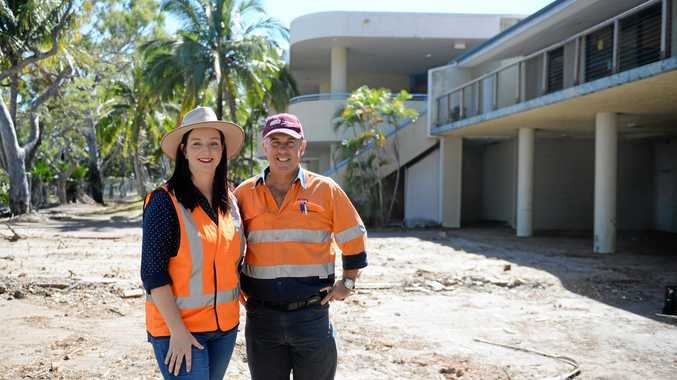 On behalf of the lease holder for the land, the Queensland Government, Ms Lauga was instrumental in keeping the pressure up on resort developers Tower Holdings, demanding they get on with the job. For a decade, the shuttered, decaying resort has gathered cobwebs and scars from vandals while a resort and marina development was devised and investor funding sought to revive the fortunes of the once iconic tourist magnet. Staring down the barrel of a losing their leases unless they began demolition works by the end of April and completed it by the end of August, Tower was spurred into action, mustering demolition and asbestos removal crews to flatten 12 buildings to slab level. Great Keppel Island: Andrew Brown speaking about the demolition work on Great Keppel Island. Addressing the media contingent on Thursday morning with Mrs Lauga, CQG Consulting's principle engineer and project manager Andrew Brown provided a revealing insight into the unique challenges an island demolition presented. 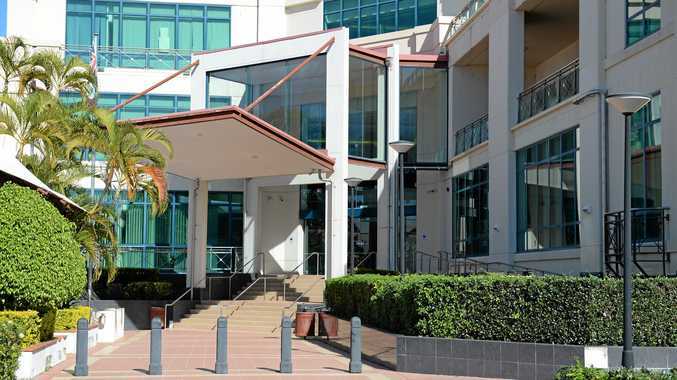 "It commenced at the end of April and has finished a couple of weeks ago, with some tidying up," Mr Brown said. "There's a few other minor jobs that need to be done, some work on the fencing, but it's essentially completed now." 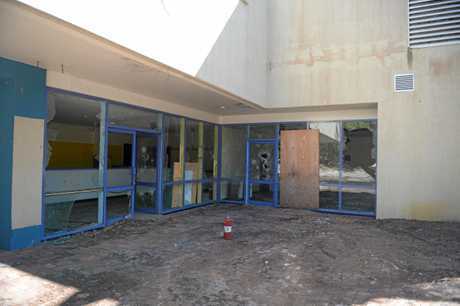 While 12 buildings were demolished during the project - which was estimated to have cost less than $1 million - Mr Brown explained why several buildings were spared. 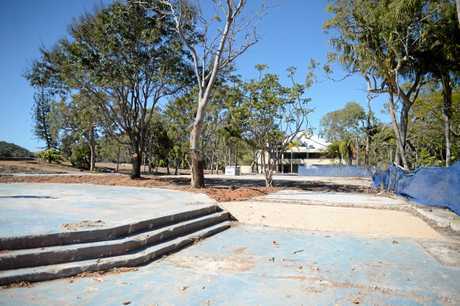 These including the main concrete resort building which was retained as a cyclone shelter. Other buildings would be re-purposed as future workers' quarter to offset one of the principle costs of doing work on the island. He said the plan was for almost every building to eventually be replaced. Mr Brown described it as "not a bad place to work" for the 15 people employed by the project but said it presented logistical challenges "with barges and just getting equipment up the beach". "Also you've got a workforce, people don't go home at night, they've got to be put up on the resort," he said. Reducing the buildings to slab level, they could get away with operating at a smaller scale. But once it came to digging out and replacing foundations, a larger scale logistical operation and machinery would be required. 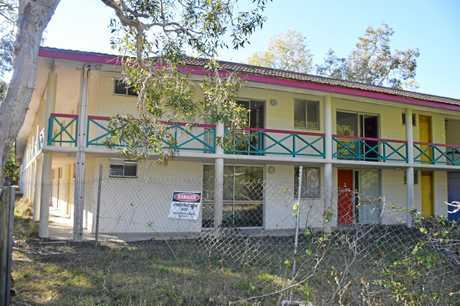 During the initial stage of the demolition, Mr Brown said they removed 12 tonnes of asbestos from the buildings which they put on a barge to the Benaraby landfill, near Gladstone. The second stage was removing the glass, copper, aluminium and other recyclables from the buildings, putting them into skips. Mr Brown estimated 40-50 skips, each weighing up to a tonne, were filled and put on the barge which made four to five trips to Gladstone. After this point demolition using an excavator took place, razing the buildings to ground level. As there was a large cost incurred by taking waste off the island and bringing building materials in, one of the key considerations for the demolition team was retaining and recycling as much useful material as possible. 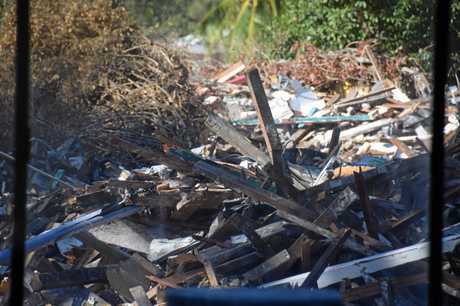 "The demolition waste was sorted into concrete, metals and timber and that material will be used as part of any redevelopment works," he said. "Those were then transported to some stockpiles at the back, and the green waste was mulched and some of it is still stockpiled here." 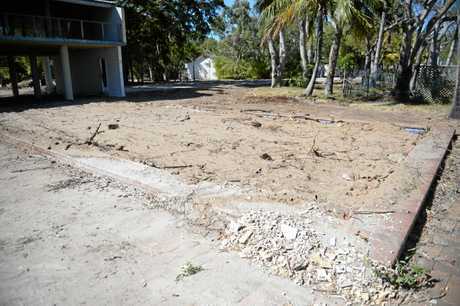 Mr Brown said they developed and adhered to a construction environmental plan which saw them restore slopes and drainage, retain habitat trees, and relocate animals with the assistance of licenced animal carers from the demolition site. In consultation and with regular inspections with representatives of the traditional custodians of the land, the demolition project undertook research for a cultural heritage assessment of the construction area, cordoning off one area of significance just beyond the construction site. Pleased to declare mission accomplished on the first phase, Ms Lauga thanked CQG for their work on the "sensitive and difficult project" which had been logistically challenging. She said this major milestone, along with her government's $25 million planning efforts to deliver power and water to the island, would improve the likelihood of Tower securing a financial partner (after their extensive international marketing campaign) and realise their goal of constructing an eco-tourist resort and marina development. "I understand from what Tower has told the Department of Tourism and also the Department of Resources and Mines that that partnership finding expedition is going well and the discussions and negotiations (with prospective international investors) are going well through that due diligence phase," Mrs Lauga said. "We look forward to Tower providing an update to the Government with respect to the leases and with respect to their partnership search very soon. "The government expects that Tower have an investor or a partner in place by March and Tower has been made aware of that deadline." Mrs Lauga said her government was willing to work with any prospective investors with respect to redevelopment of the resort but have made it very clear that they want to see action soon. "Tower understands that and I understand that the investors that they're working with are eager to get started as well," she said.